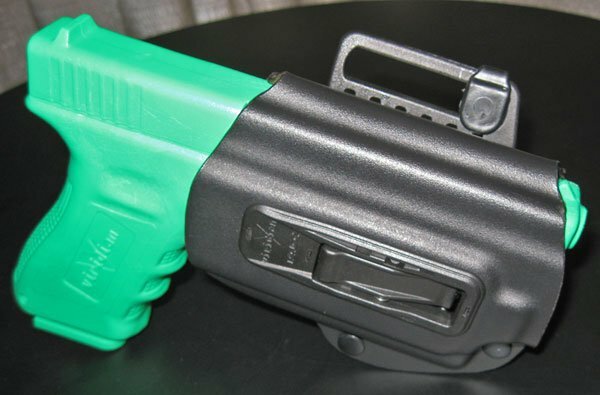 At the Viridian Green Laser Sights booth at SHOT Show 2012, Aaron and I got a look at Viridian’s new TacLoc holster, which is specifically designed to work in conjunction with Viridian handgun-mounted C5, C5L, and X5L green lasers. Viridian Owner Tom Otteson gave us an impromptu demo of the TacLoc holster and their new X5L green laser/light/strobe combo. Thanks, Tom for taking one for the team! 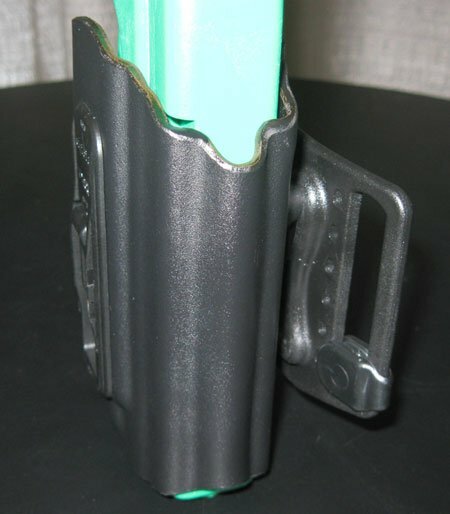 The innovative twist here is that the holster can activate the green laser/light upon draw and deactivate it when re-holstered. Viridian calls this their ECR, or enhanced combat readiness design. The user sets the C5 or X5 in the desired mode: laser, light, laser and light, laser and strobing light, or strobing light and the TacLoc turns the unit on in that setting when the gun is withdrawn. Replacing the gun turns off the unit. 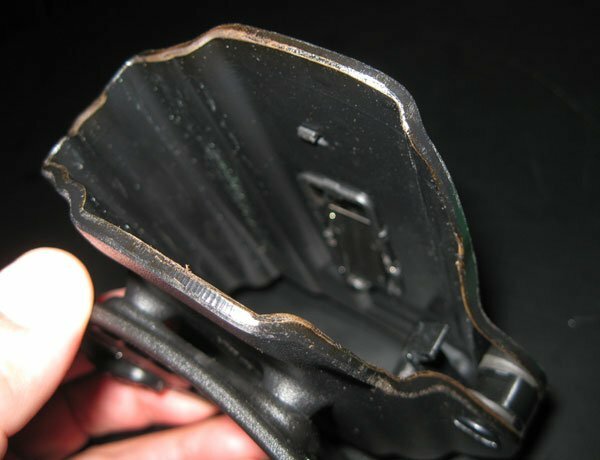 The Level II holster has a push button lock that is manipulated with the index finger, much like a competitor’s holster (see “the Internets,” as Richard might say, for beaten-dead-horse controversy). It appeared the TacLoc’s on-off function is not compatible with other manufacturers’ lights or lasers. 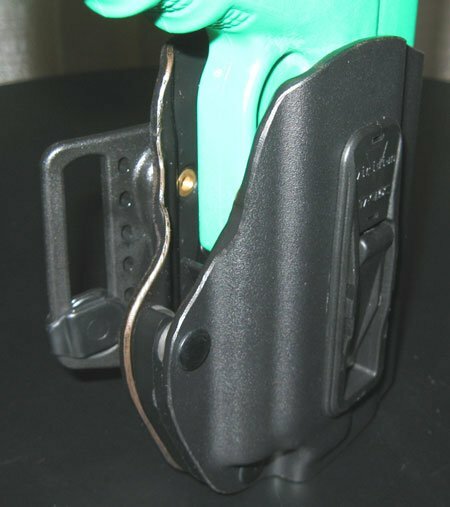 If you have one of the above pistols issued for work use, you may want to check out the TacLoc and Viridian laser combo. I especially liked the new X5L. Both items would be well suited to plainclothes duty. Randall is a twenty-four year sworn police officer in a mid-sized Florida police department. His experience includes a six and a half year assignment as a Detective investigating Property Crimes and Robbery/Homicide.